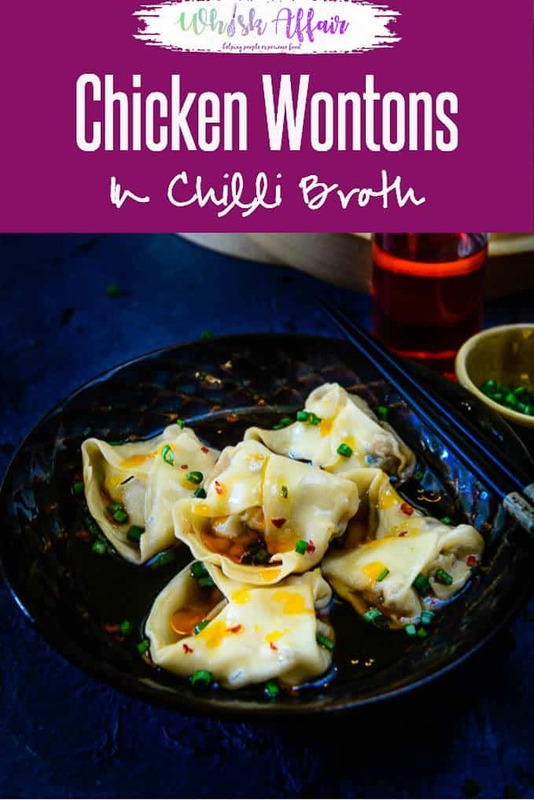 Chicken Wontons in Chili Broth is a delicious Chinese main course option. make it this week and enjoy with family and friends. Here is how to make Chicken Wontons. Wontons are an important part of the Chinese Cuisine. Stuffed with toothsome filling of spices, Wontons are first steamed and then boiled in a broth or a soup and served along with it. I am saying this from my experience that Wontons are really easy to prepare and serve. I tried a variation of Chicken Wontons in Chilli Broth the other day. 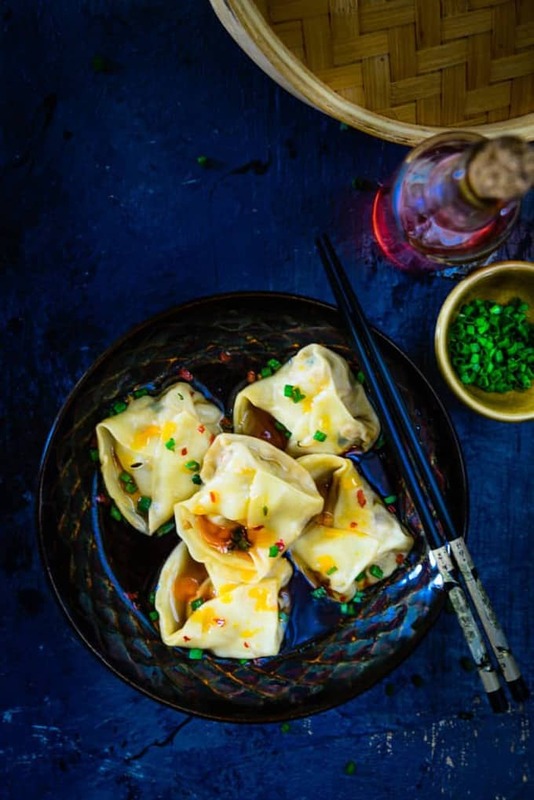 To make these wontons, I used minced chicken, onions, garlic, spring onion greens and mushroom- the usual veggies used for Chinese cuisine for the filling which complemented the Chinese sauces very well. I steamed the Wontons with the help of a steamer so that they remain succulent and palatable. For the broth, I experimented with Chili Oil, Chicken Stock and Oyster Sauce and the result was nothing but amazing. I fell in love with its mildly sweet and spicy flavor. In case you wish to try a vegetarian version of this dish then you could use the veggies that I have suggested and still make the dish equally tastier. And you could any day try out my vegetarian Chinese recipe such as Vegetable Spring Roll for snacks or as an appetizer. 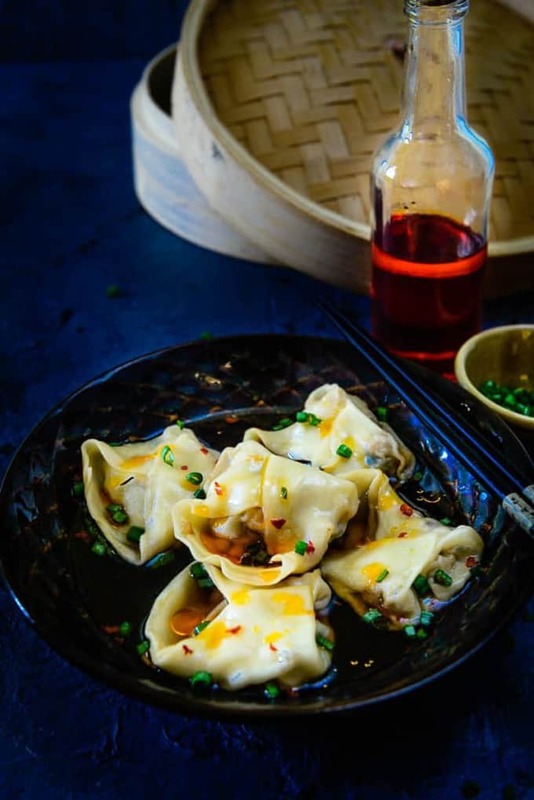 The best part is that you can also serve these Wontons along with Schezwan Fried Rice and Hakka Noodles, and your meal for the day would certainly taste yummier. So, instead of going to a lavish restaurant for a Chinese meal, I recommend that you at least once try out these easy to make Chinese dishes at home and savor them with joy. For today, surprise your family or that special someone with Chicken Wontons in Chili Broth and they would surely end up loving you more. 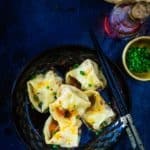 These Wontons are even perfect for those quick parties or special occasions: now you know what to plan for the next party, right? Now, quickly read and share the recipe for the same with your friends. Chicken Wontons in Chilli Broth is a delicious Chinese main course option. make it this week and enjoy with family and friends. Add chicken mince, onion, garlic, mushroom, spring onion greens, soy sauce, brown sugar and rice wine vinegar in a bowl and mix well. Place a wonton wrapper on a clean work station and keep a tsp of filling in the centre of it. Apply water on the edges and bring the edges together to make a triangle. Apply water again on the edges and bring the two ends of the triangle to over lap each other. Make all the Wontons in the same manner. Keep the steamer over heat and let the water in it come to boil. Arrange the wontons on the tray of the steamer in single layer. Steam the wontons for 8-10 minutes or until cooked. Meanwhile, mix the ingredients to make the sauce in a pan and bring to a boil. Add the wontons in the broth and cook for a minute. Garnish with fresh coriander and serve hot.